Add a spicy Mexican ‘castida’ wrestling move to your next Mexican inspired dish! 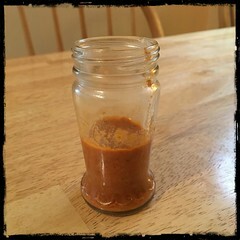 Use with pork, chicken, fish, soup, stew, enchiladas, tostones or tacos. 1. 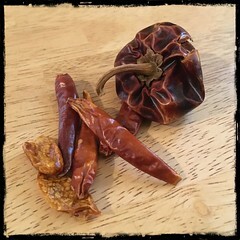 Break the stems off the chiles de arbol and ancho chiles and shake out as many seeds as possible. 2. Place the chiles in a bowl, cover with hot (boiling) water and weigh down to help. 3. Let the chiles soak for about 30 minutes or so until softened. 4. Once the chiles are soft, place the chiles in a blender with a bit of the liquid. 5. Add the crushed garlic, oregano and a dash of salt, blend until smooth.